Hackathons. These marathon computer-programming competitions generally involve spending the day (or days) with strangers, forming teams around a problem or idea, and collaboratively coding a solution from scratch. These solutions take the shape of websites, mobile apps, or robots - and the teams then pitch the solution to judges to win prizes. Hackathons, at their core, are very entrepreneurial in spirit, as they encourage ideation and prototyping. For companies like Digital Echidna, hackathons can also serve as a corporate marketing and recruiting event. And that is why I found myself on campus at Western University yesterday to attend my first hackathon -- SheHacks. 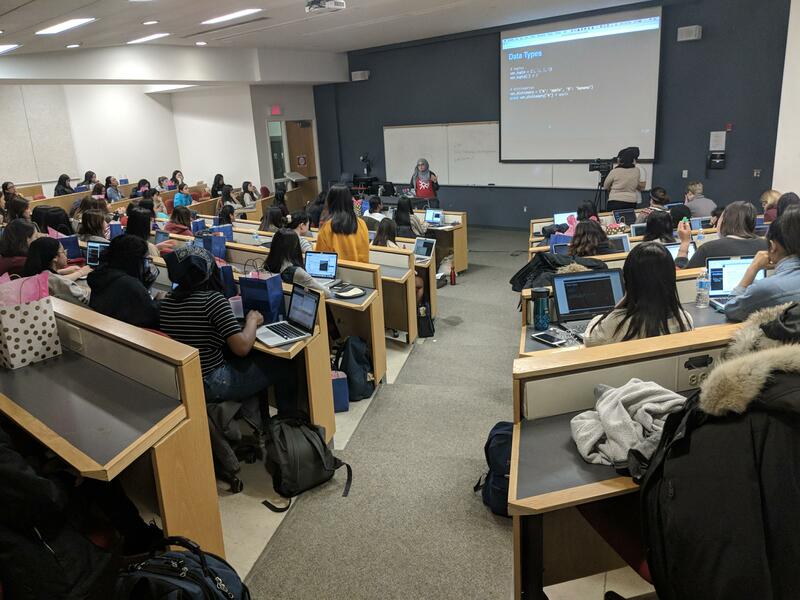 SheHacks is an all-female hackathon, organized by Western University’s Women in Technology Society (WiTS) club. This year there were 500 registrants, of which 150 were accepted. That is quite an increase from last year’s (still impressive) 80. Most hailed from Western University but other students were there from Waterloo University, Laurier University, York University, and University of Toronto. The Hackathon theme this year was: A Solution You Can Bank On. We arrived early to set up our tradeshow booth in the atrium of North Campus Building. Registration followed and the teams met and formed. After the opening ceremonies, the hacking began and a series of workshops were available. The workshops were designed to help coach attendees with things they may need to know over the course of the day. as this event was created for first-time hackers to try something new. People from all backgrounds, disciplines, and majors were encouraged to attend. 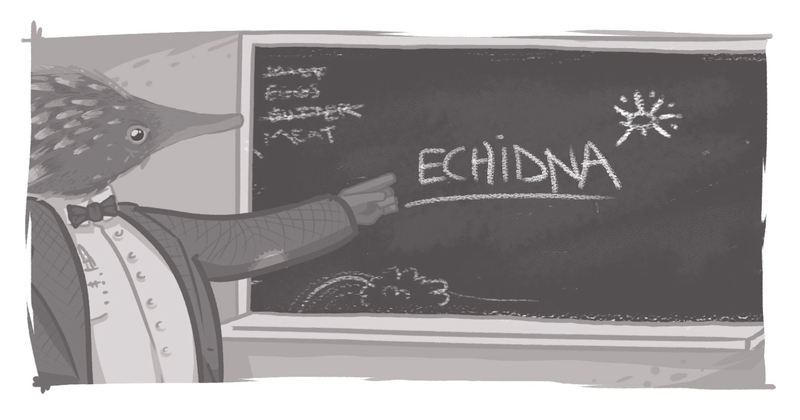 Digital Echidna’s Fatima Khalid delivered one such workshop -- Intro to Python. This brief presentation included a step by step how to use the libraries, call the API, get the data, and offered some examples of what you can do with the data. I learned a few new tricks. And, just for that little added touch, at 4 p.m. therapy dogs were brought in for an hour to calm nerves, raise energy levels, and reset intentions. At 9 p.m. hacking submissions deadline closed. At this point, each team had to have their presentation and solution entered to be considered for judging. This was a pretty intense part of the night as the competitive spirit was high in all. In the end, $5,000 worth of prizes were given out in categories like best overall hack, best use of API, and best use of blockchain. Will any of the teams have created the next GroupMe, the popular social messaging app that sold to Skype for $85M, which was originally conceived at TechCrunch’s Hackday hackathon? Maybe so! But even if it does, that is not the main objective of this event, says Michelle Chan, president of WiTS, and one of the organizers of SheHacks. Congratulations to the WiTS organization and all SheHacks organizers, for such a well done event. Digital Echidna is proud to sponsor SheHacks and to support the growth of the incredible talent in London's technology sector. I want to give a shout out to all the sponsors there yesterday -- Scotiabank, Techalliance, Coinsquare, Western Science, stdlib, Propel Western Entrepreneurship, Bach-Simpson, wattpad, ChainSafe, Zoom.ai, Deliotte Digital, and Communitech. I know financial contributions enable events like this to be open and free to registrants and cover the cost of venue, breakfast, lunch, and dinner, and even transportation. Are there any female-focused Hackathons?